We often spend time maintaining our homes, but it’s important not to forget about your garden too. With summer upon us, now is the perfect time to refresh your garden before the Autumn weather sets in. Here are our top three tips on maintaining your garden this summer. Perhaps it is obvious, but the best place to start is by maintaining the flora in your garden. Start by mowing the lawn, defining borders and pruning your plants and hedges, to ensure a tidy finish. It is important however to remember to wait until all of the flowers have dropped before starting to prune, so you don’t miss this years’ bloom! 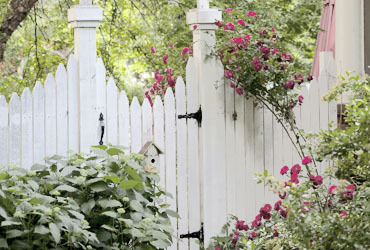 Now you will have created a manageable space with easy access to your borders, you can look to sculpt your box-hedges and re-paint any fences and garden gate. While this can at first seem like an arduous task, it is a worthwhile job to do as will ensure that your boundaries are well-maintained and stand the test of time. Check your garden gate furniture is in good working order to ensure your property is kept secure. When installing new ironmongery, it is advisable to check the gate furniture offers a protective weather-resistant finish for a low-maintenance security solution. For more inspiration for your garden, why not check out our previous blog on how to Design Your Perfect Patio.